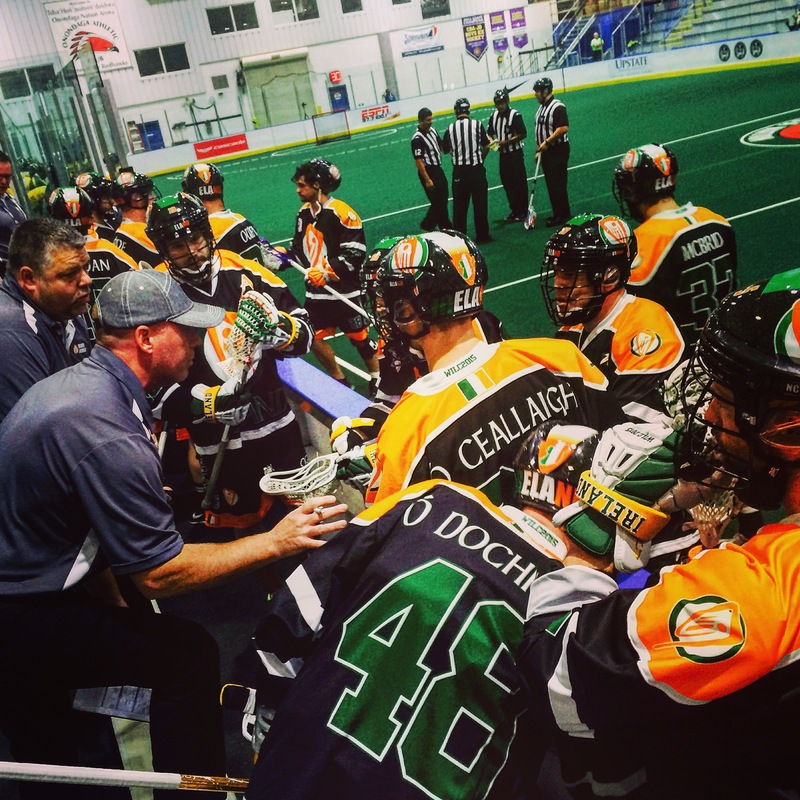 With a record of 3-1, the Boys in Green are in to the Quarterfinals of the 2015 World Indoor Lacrosse Championship. They will face Israel at the Onondaga Nation Arena on Tuesday 22 September at 1:30pm local time, 6:30pm Irish time. Click here to watch the game live. In group play, Ireland finished 2-1, defeating Germany 10-7 and Serbia 11-10, while falling to Israel 12-6. The boys in Green certainly took the lessons learned in Group Green play and applied them to the play-in game, where they defeated Australia, 12-4. One could say that this was not what the (non-Ireland) fans were expecting based on Australia’s prior results; they went 3-0 in group play, outscoring opponents 49:29. However Ireland controlled the game from the outset. Their penalty minutes were significantly less and shooting percentage (number of shots and percentage of shots on cage) was up. Ball movement was crucial as they were able to get better looks on cage; most of the goals had one, if not two, assists on them. 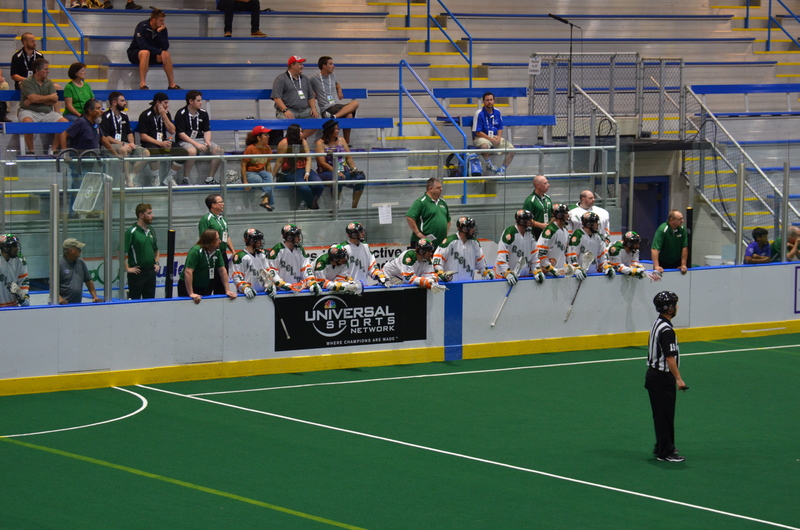 Ireland was also able to take advantage of their man-up offense, scoring 3 goals on power plays. 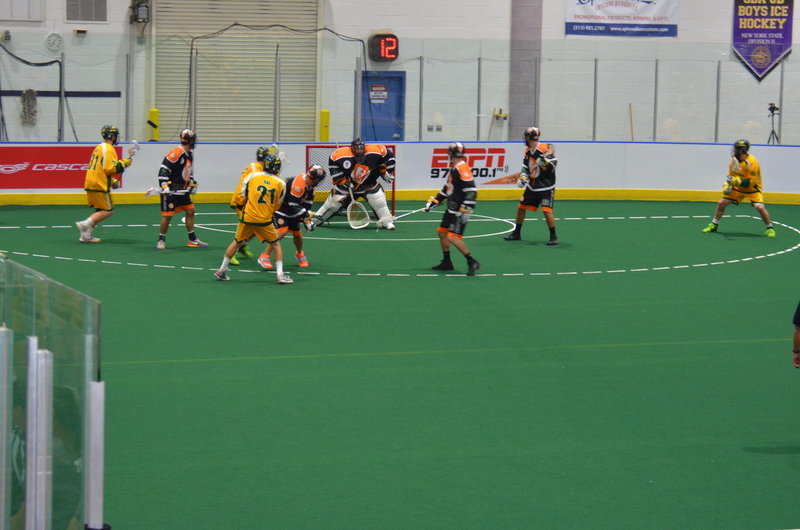 Defensively Ireland was aggressive and swarmed the Australian shooters causing contested shots, and the goalies backed up their play, stifling most scoring opportunities. Michael Cregan registered 39 saves on 43 shots, and Colm Murphy registered 3 saves on 3 shots. Coming into the quarterfinal game, Ireland has eight players in the Top 100 for points scored, and four in the Top 40. Stephen Keogh and Brian Gillis lead the charge with 9 goals and 9 assists a piece, sitting at 8th and 9th. Tyler Roche and Kevin Owens each have 6 goals and 3 assists, good for 35th and 36th overall. Mike Shea, Drew Wichmann, Andrew McBride and Ben Snider round out the top scorers. Goalie Michael Cregan has stood on his head, amassing 160 saves on 193 shots, for 83% save average. His total saves rank 2nd in the tournament (1st has 161), and percentage ranks highest amongst the starting goalies (having played all four games, and the majority of each game). A big thank you to our Player of the Game sponsor, The Team Jesse Foundation.